No, we’re not talking about the cleaning or actual up-keep of pens for cattle. We’re talking about another battle from the American War For Independence. 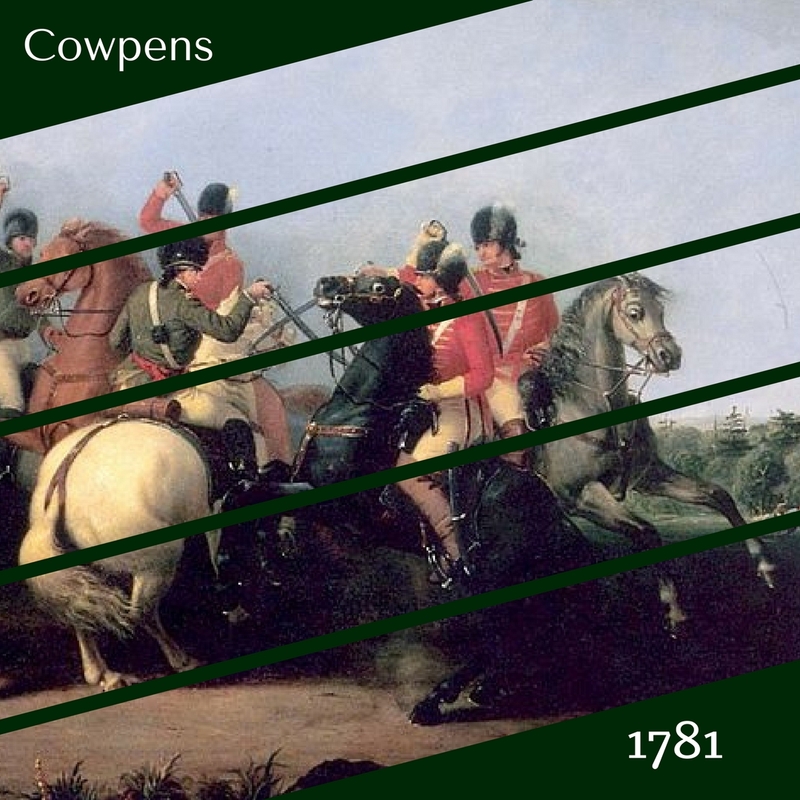 Unlike the other battles we’ve discussed this month, Cowpens was fought in the South. The Southern campaigns of the war are often overlooked or glazed over in the history books. Why? My theory is because George Washington didn’t fight down there, and the history isn’t quite as clear as “Redcoats vs. Patriots” because there’s guerrilla fighting, turncoats, loyalists, and…oh, that’s right – the war didn’t go in the Americans’ favor until the very end in the Carolinas. However, Cowpens is right there in the ending of the campaign. (Spoiler: It’s an American victory!) And it’s a turning point in the war which will force the British Army to return north. And one of the American commanders was from the Shenandoah Valley in Virginia which is one of my favorite regions to study – so without further spoilers, let’s discuss five things you should know about this battle. 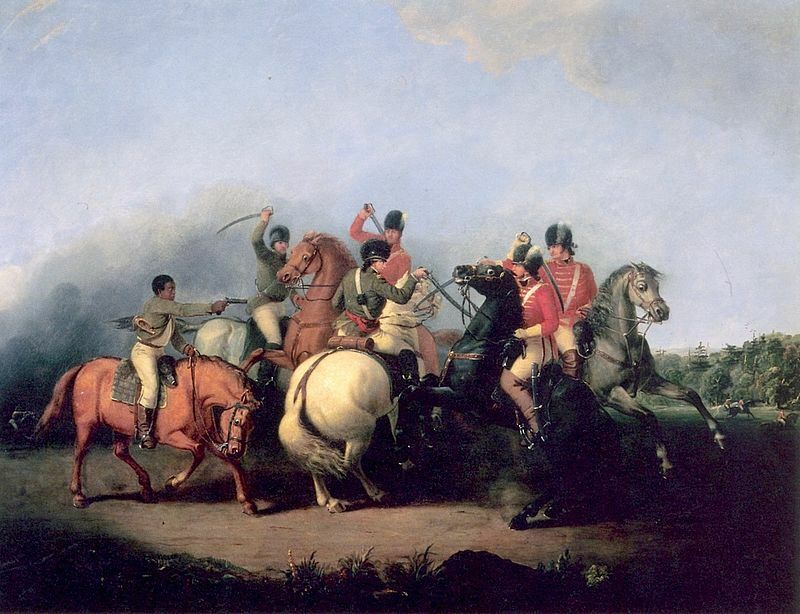 The Battle of Cowpens was fought on January 17, 1781, and it was toward the end of the British’s Southern Campaign. In 1779-1780, Sir Henry Clinton, Lord Cornwallis, and a British Army arrived in the Carolinas; the idea was rally the loyalists and win some decisive victories since the war wasn’t going so well up north. However, it seems like the redcoat commanders didn’t quite understand the divisiveness in the South. There weren’t quite as many “backwoods loyalists” as they had supposed, so, while they captured the cities, they couldn’t contain the guerrilla-type of fighting carried on in the countryside. Two decisive American victories – one of them at Cowpens – brought an end to the indecisive British operations in the South. Cowpens wasn’t fought between the “A-list” generals. By 1781, the top commanders in the Southern theater were Lord Cornwallis (British) and Nathanael Greene (American). 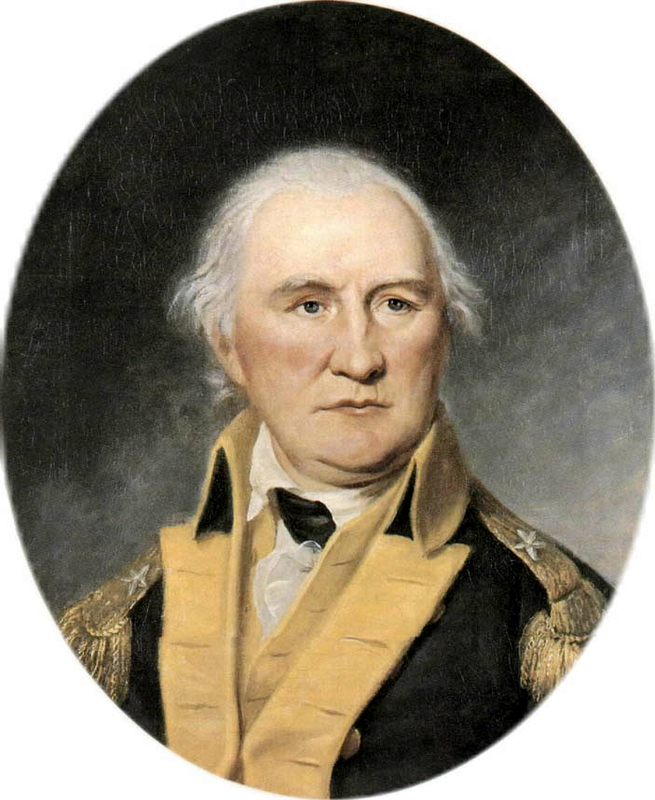 Greene sent one of his generals – Daniel Morgan – and close to two thousand American troops were maneuvering the South Carolina back country along the Pacolet River. Morgan had served in frontier fighting before, and his Virginia riflemen were known for their sharpshooting skills. Alerted by his scouts of Tarleton’s approach, Morgan decided to make a stand at the area known at Cowpens and he ordered the local militias to rendezvous with him there. The land called “Cowpens” was about five hundred yards square, open, grassy, and yes, used to graze cattle. However, there was a river behind Morgan, making retreat challenging if it was needed. Morgan decided to use the land and surrounding forest to his advantage, hiding his sharpshooters in the woods and devising a plan to lure the British into a semi-trap. Clearly, this was battleground of Morgan’s choice and he utilized it to full capacity. He spent the night instructing his men, rallying them, and even daring the Georgia units to be braver than the Carolina troops. Morgan organized three lines on his battlefield. First, the sharpshooters with orders to shoot the officers and strategically placed riders in the Tarleton’s dragoon unit. The second line was militia, and they managed to fire two volleys before retreating (as planned) to the third line of Continental soldiers, waiting in the open. As the British dragoons raced after the fleeing Colonials, American cavalry galloped onto the field, surprising the British cavalry. The full battle ensued, Morgan rallied his troops while the British sent in their Highlander infantry reserve. American volleys and a blocking movement by the rallied sharpshooters and militia trapped the British, leading to surrenders. 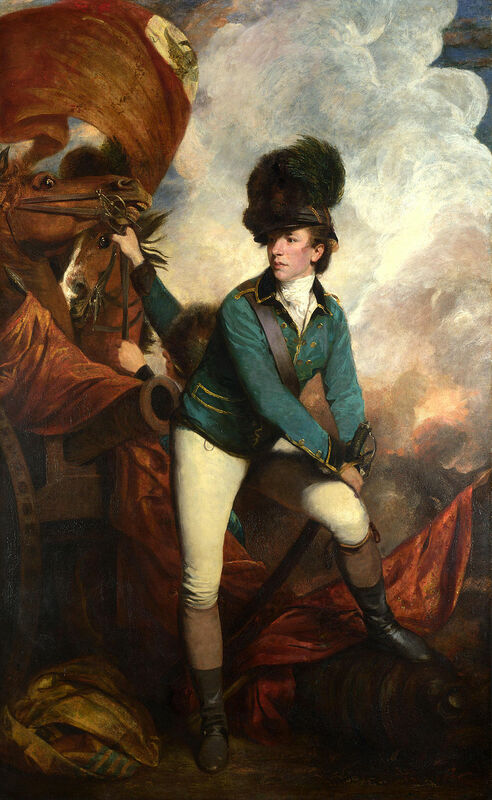 Tarleton and his dragoons abandoned the field, surviving to tell Cornwallis about the defeat. The victory at Cowpens and another American victory at King’s Mountain (October 1780) basically ended the British operations in the Carolinas. The Americans needed supplies in Virginia and raced for the river crossings on the Virginia line. The British pursued, burning their own supply depots; the Battle of Guildford Courthouse in March 1781 was a British victory, but they lost a significant number of troops. Following that defeat, the British left the Carolinas, heading for Yorktown where they hoped to be resupplied and transported by the British navy. But I think we all know what happened at Yorktown? King’s Mountain, Cowpens, and Guildford Court House are linked in their importance at the ending of the Southern Campaign and they truly paved the way for the entrapment of the British and Cornwallis’s surrender at Yorktown which was a major step in ending the war in the American’s favor. Thanks Robert. Glad you found the information useful and enjoyable.